Gidarjil Indigenous rangers train with Terra Rosa to measure Gladstone’s heritage health! Taking a break from turtle and mangrove monitoring, 13 trainee Indigenous Land and Sea Rangers crammed into the Gidarjil bus and headed out with Terra Rosa to The Narrows Quarry, a spectacular Aboriginal quarry site around 45 minutes north of Gladstone. The quarry boasts countless silcrete artefacts spanning many square kilometres on the tidal mudflats, with many piled on top of each other and some in stone arrangements. The quarry provided the perfect teaching environment and the rangers were quick in picking up the techniques for artefact identification; pointing out the platform, bulb, termination and retouch to the Terra Rosa trainers and each other. This project was part of the Gladstone Healthy Harbour Partnership, a unique community-driven initiative for measuring and promoting Gladstone’s harbour heath by considering the environmental, economic, social and cultural heritage health factors. The trainee rangers spent two weeks working closely with Terra Rosa Consultants Scott, Anne, Nell and Jade recording key Aboriginal heritage sites around the Gladstone region. 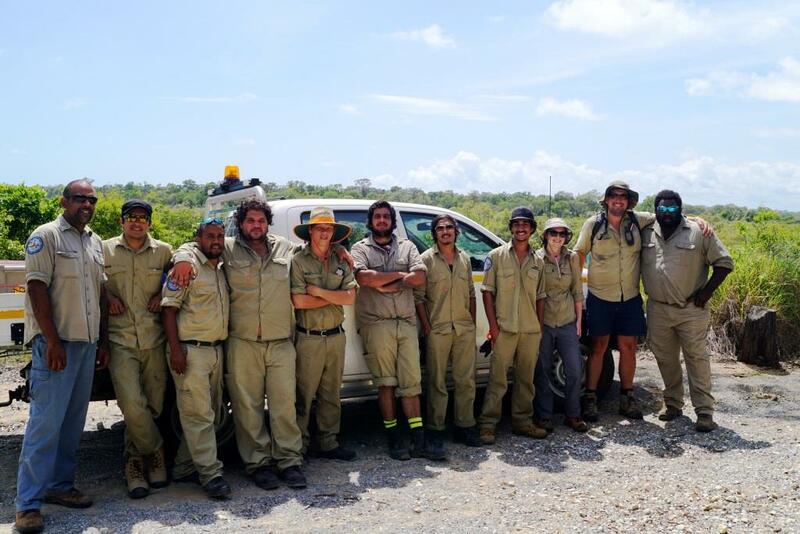 Our goal was twofold – to train the Gidarjil rangers in Aboriginal sites work and to collect baseline cultural heritage data to set up an annual monitoring program. The project also aims to build broader awareness of the region’s cultural heritage resources amongst the Gladstone community. Focusing on the Cultural Heritage Indicator group, Terra Rosa and Gidarjil rangers collected data by visiting key heritage sites in the Gladstone region and by using innovative Nodal Ninja 360 degree imagery to create an interactive online record of Aboriginal heritage places. These records would be imbedded with site features and compared annually to track change in site condition over time. The rangers showed great enthusiasm and an eagerness to learn the necessary skills for cultural heritage management and monitoring. A day was spent on nearby Facing Island where the rangers assisted with the recording of extensive shell middens and artefact scatters. These have great potential to yield a better understanding into traditional lifestyles of the Aboriginal inhabitants of the island. During the second week the team visited Wild Cattle Creek where the rangers showed off their newly acquired skills in artefact identification, GPS and camera work to Gladstone Healthy Harbour Partnership representatives John Kirkwood and Uthpala Pinto. Here, the team recorded some more shell middens and two scarred trees. Dodging the relentless sandflies, Gidarjil rangers Will and Kaishar learnt to use the Nodal Ninja; whilst Jayme, Tyler, Ian and Jordan were fantastic at GPS, photography and site feature identification; and Steven excelled in aerial imagery. 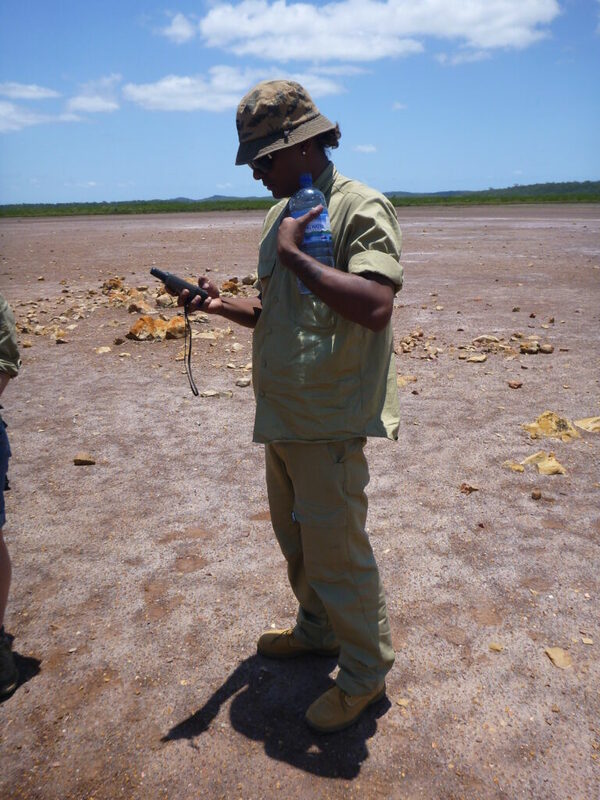 Led by Senior Ranger, Symeon Marou, the young Gidarjil rangers are currently completing various environmental management qualifications and gaining practical experience in environmental management of the Gladstone area. They are integral to the continuity of the project as their fieldwork in the Gladstone area often brings them into contact with Aboriginal heritage sites and they will be assisting with the annual monitoring of target sites. The research completed to date is the crucial first step in developing indicators for heritage health, and these will be further developed in 2016 with the involvement of Port Curtis Coral Coast senior knowledge holders. Terra Rosa is very excited to be part of this innovative and ongoing process.